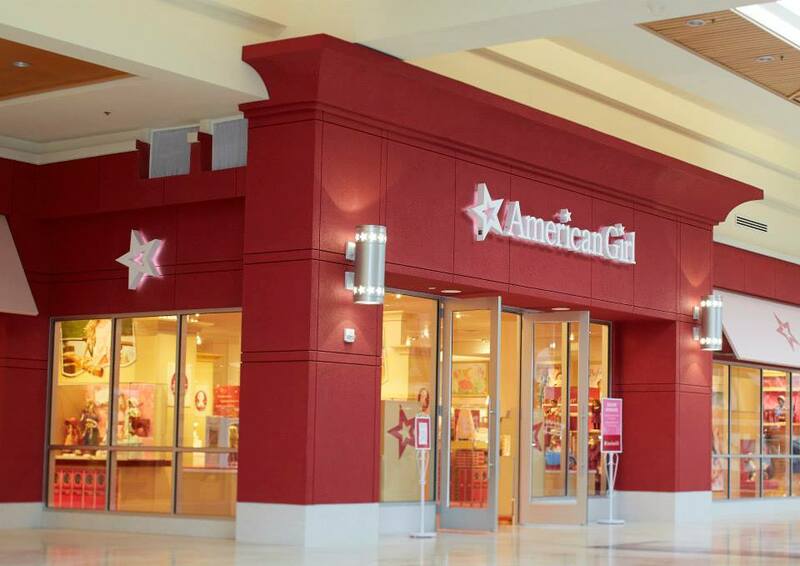 The American Girl Store is in SouthPark Mall. Before I even start telling you about the store, let’s talk about the mall. I basically want to move into it. It features stores like Neiman Marcus, Burberry, Frontgate, Louis Vuitton, Hermes…do you see the picture I’m painting here? I’m lucky that I was going there for doll-sized fashion because I couldn’t afford much else. Still, it’s fun to look at! As you might expect, the mall was crowded on this Saturday afternoon. The American Girl Store was no exception. There were plenty of employees throughout, however, who made the experience nice. The shelves were thoroughly stocked and, like the Atlanta store, there were displays with the products everywhere. It’s neat to see the things you’ve been drooling over from the catalog in person. Side note: The Christmas carriage and horse are GINORMOUS! So is Julie’s car. My daughter brought two dolls with her. One would be having her ears pierced during our visit and the other would get her hair done. Ear piercing was just under $15. Hairstyles ranged from $10 to $25. While you can’t make appointments in advance, you do schedule one when you arrive at the store. There are several salon chairs and stylists, so despite the crowd, we had to wait less than an hour. When it’s your time, your and doll’s names are called and you can watch the makeover happen before your eyes. The stylist doing our doll’s hair was so sweet and made my daughter’s day. In the back corner of the store is a Bistro. Sadly, it’s tiny. It’s considerably smaller than the restaurant in Atlanta. I attempted to make reservations several weeks ago but they only seat parties of four. We had eight. I assumed we could just make two reservations for four at 2 p.m. Unfortunately, they make all reservations 30 minutes apart so half of us would have been seated at 2 p.m. and the next four at 2:30 p.m. That didn’t work, so we skipped it. I’m embarrassed to tell you how much we spent, but it was a good time. The American Girl brand is largely supported by family, in this house. Without generous gifts from grandparents, aunts, and uncles, our collection wouldn’t be nearly as big. Because of this, it was nice to spend this day with our loved ones, enjoying it all together. We can’t wait to return!